Hi everyone, it’s Jennifer Uhlarik again. Glad to be back with you again this month. 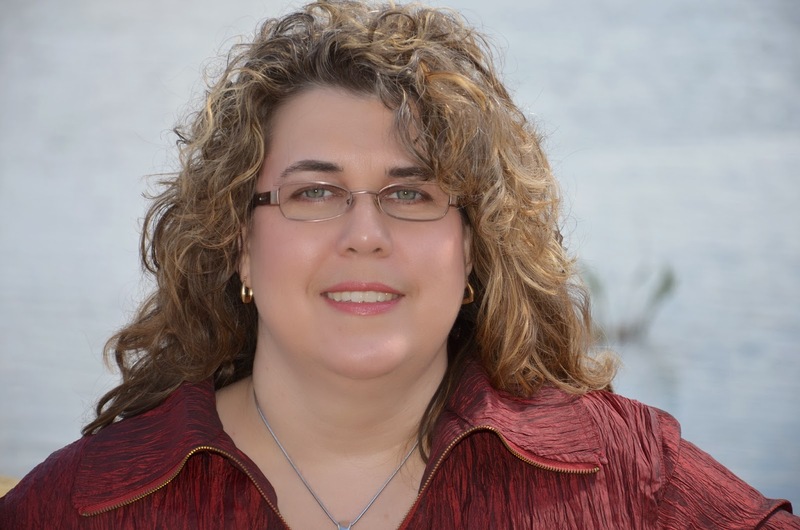 Make sure to read to the end to find out about my surprise giveaway. Today, I wanted to share a bit about one of the recent topics I’ve been researching—how a person became a doctor in the Old West. I would guess most people have heard of some of the abominable practices of early medical doctors. Bloodletting, purging, leeches. Or later on, the use of the toxic and ineffective combination of calomel and castor oil for various ailments. Or the Civil War surgeons who performed amputation after amputation without disinfecting anything or anesthetizing their patients. It gives me the shivers to think what sick or wounded people were subjected to in order to feel better—only to grow worse and die in many cases. Doctors today go through many years of schooling, residency, and fellowships, and most (if not all) mortgage their future to pay for it all. But it wasn’t always that way. Back in the 1800’s, there were three methods in which a person could become a doctor. Apprentice under a knowledgeable doctor. Purchase a diploma from a diploma mill. Yikes! Purchase a diploma and become a doctor? Yes. Somewhere around the early 1850’s, states began requiring credentials to practice medicine, and not long after that, diploma mills began popping up. If you could pay the fee, you could receive a diploma titled in your name, stating you were capable to practice medicine. What a frightening thought. No training. No lectures. No tests. Just pay the cash, and here’s a diploma to flash. A more respected route was the apprenticeship. Many who wanted to learn medicine but couldn’t afford to attend medical school would choose this route. What this entailed was for the apprentice to work with a local doctor who was willing to teach him about medicine. When apprentices first started their apprenticeships, they would likely spend more time caring for the doctor’s horses than real patients. Apprentices would chop and carry wood, clean the doctor’s office, run the doctor’s non-medical errands, all to pay for his training and upkeep. He would also ride along on calls or watch procedures performed in the office. And eventually, after watching, listening, and learning, the apprentice would be given the opportunity to attempt the procedures himself. The length of apprenticeships varied, and it depended largely on how much the doctor could teach and how quickly the apprentice learned. Once the doctor had taught all he could to his student, he would write up a document that stated the apprentice was knowledgeable in the practice of medicine and was capable of practicing on his own. The apprentice then could start his own office as a full-fledged doctor. This method of study produced many very qualified doctors in the Old West, but began to fall out of favor in the early 1870’s. I’m sure some continued to apprentice under local doctors for a bit longer, but this time frame was also when medical schools began to grow, both in number and quality. 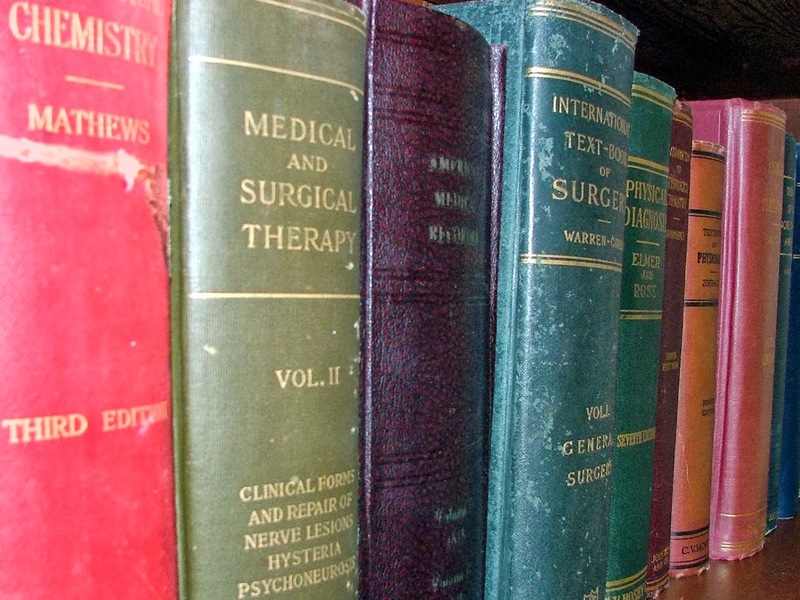 In 1850, there were approximately forty medical schools in the United States. That number swelled to more than sixty by 1876. Many of these schools were found out West, and the cost to attend was very affordable, since the residents of the western states and territories tended to be less than affluent. During this time period, students were required to attend two four-month-long sessions. These sessions would occur a year apart. Students would hear lectures on anatomy, physiology, midwifery, chemistry, and surgery, and the teachers would present some cases using cadavers obtained by grave-robbing. Anyone who could pay the money and completed both four-month sessions would be given a diploma. These newly-graduated doctors often went on to apprentice under a more established physician, but that practice began to fall out of favor by the early 1870’s. By the turn of the century, medical schools began to improve. Prior to this point, there were few admission requirements other than to pay tuition. Shortly before 1900, medical school admission became more selective, coursework grew longer, and more hands-on practice in autopsy and dissections was given. Students were required to spend more time studying pathologies of disease. They attended conferences where strange maladies were presented. Hospitals were used for teaching on live patients with real maladies and injuries. But it wasn’t until 1910 that true standards of medical education were created, causing many of the Western medical schools to close because they couldn’t comply. So now it’s your turn. If you had lived during these times and wanted to be a doctor, which path would you have taken—diploma mill, apprenticeship, or medical school? 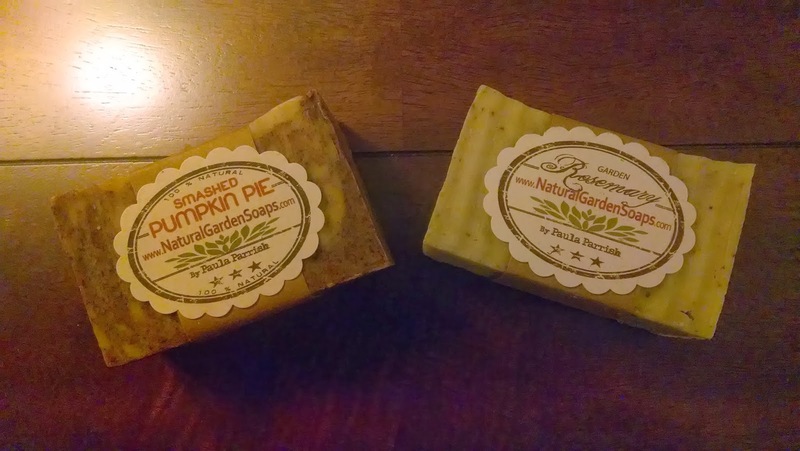 Leave your email address if you would like to be entered in the drawing for two handmade soaps (Rosemary and Smashed Pumpkin Pie scents). Thanks for visiting. See you all next month! Sounds like a great plan, Connie. I agree that all the book learning in the world can't replace the hands-on experience. My great-grandfather chose the apprenticeship route. He graduated from Centenary College in Louisiana in 1861 and then went right into the Confederate Army, After he was discharged in 1865, he studied with a doctor in town. He said he'd seen so many deaths in the war that could have been prevented with good medical care, so that's what he wanted to do. He stayed in Louisiana until 1880 when he moved to Texas and practiced medicine there until his death in the 1890's. I think I would have chosen the same route as he did. I wanted to be a doctor, but in the early 1950's, I was discouraged from doing so and went to nursing school for two years, but had to drop out because of my health. Changed my major and finished at Baylor with a BS degree. I still have a love for anything medical. What a fascinating story about your great-grandfather, Martha! Sounds like he could have told many intriguing stories from his years as a doctor. I'm sorry you were discouraged from becoming one yourself. It always breaks my heart when people step on others' dreams. LOL. Oh, yes! You are certainly correct about that, Debbie Lynne! Agreed, Tamara! Thanks for stopping by. think I would go with apprenticeship ,sounds like more hands on experience on a more regular basis. Thank you great article. Thank you for sharing this fascinating post! I believe I would have chosen to apprentice under a knowledgeable doctor. Britney, I'm glad you enjoyed the information today! Seems like many would choose the apprenticeship method, and I can't disagree! Jennifer, this is such an interesting post, Thank you! Also, thank you for the giveaway. I would have been one who would have wanted to watch and learn so I would have gone with the apprenticeship. Hi Melanie, I'm glad you enjoyed today's post. I also would have chosen the apprenticeship, I believe. Some things are just easier to learn by seeing and doing, rather than reading and listening. I would have wanted to go to medical school to get the best education available at the time. Definitely apprenticeship under a reputable doctor. I'm sure with the shortage of doctors during those times plus the distances between townships, an apprentice would be appreciated and the best wait to receive training in the field. You're right about the shortage of doctors in the Old West. I'm betting many doctors were excited to have an apprentice who could take some of the pressure off of them. I would have chosen the apprenticeship. I find I learn far better with hands on experience than from formal schooling - although I may have wanted to do both if I had the means and opportunity during that era! Doing both an apprenticeship and med school sounds like the perfect answer to me. Great thought. I agree with lorlyn63 about the apprenticeship. I am a "show me" type person even though I love to read, I can't follow directions in a book. I'm glad you enjoyed the post today, Janet! There are many things that are easier to learn hands-on than from a book. Thank goodness medical school today is very hands-on, right? Interesting topic! Explains quite a bit about why when I try to research standard medical treatment of, say, traumatic head injury, in 1870 there really isn't any "standard." I didn't know about the diploma mills. While that's not the path I would have chosen to become a doctor, it would certainly work for some of my less-scrupulous characters! I'd do the apprenticeship but I wouldn't want to chop wood! I'd love to win the soaps. The diploma mill wouldn't be so bad if they actually taught a few courses before giving out the diplomas. Long ago it was more difficult for young people to get training and I am thinking apprenticeship was the easiest route for them, it would interest me. I am afraid that today with the medical field having the problems they are that many doctors or choosing to leave their practices, we may have many problems ahead because of this. I have enjoyed your talk of the western doctors and the medical field of old. Thanks for stopping by, Paula! I suspect that you're right about problems ahead in the medical field. Too bad there aren't the apprenticeships of old, so we could all learn to treat ourselves! I think I would have gone the apprentice route. What better way to learn, than being right there in the midst of an illness and learning hands on! Was the people teaching the classes in college real doctors or someone who just studied books or what others learned? Hi Joy, based on my reading, it was doctors who taught in the medical schools of old. One of the interesting facts that I learned was that they had difficulty finding qualified teachers in many cases, and they couldn't pay those doctors well who came on as western med school professors. I would want to do the apprenticeship under a good doctor so I could learn everything I could, And Thanks for the interesting post and the soap giveaway! Thanks for stopping by, Joy. Most people liked the idea of doing an apprenticeship with the hands-on training. Thanks for stopping by, Eliza. I agree with you and most everyone else--the apprenticeship offered great opportunity to learn. This was a very interesting posts with lots of facts I wasn't aware of. If I had lived back then and wanted to be a doctor, I would have gone to medical school if I could have afforded it; if not, then would have gone the apprenticeship route. I'm thankful our doctors now are well trained. Thanks for giving away the soaps; they both sound delightful. Thanks so much for stopping by, Pam. I'm also very thankful for well-trained doctors and standards in the medical field! I loved this... first thing that popped into my head was Dr Quinn Medicine woman, so loved that show.. I love the prizes your offering, so awesome. I also loved Dr. Quinn, Medicine Woman. :) Was very sad to see it go off the air. I would like to think thagt I wouldn't want to cheat and go the easy, lazy way of the diploma mill but if I wasn't near enough to a medical school I'd try to apprentice with a local, knowledgeable doctor. Thanks for a great post Jennnifer. I can't imagine the unclean atmospheres of old war-time medical units and the men having to go through these procedure without any form of anesthesia! It makes my stomach churn! I totally agree about the terrible medical practices during the Civil War. It makes me cringe. Congrats, Melanie! I will contact you via email for your address. Before reading this article I might have said apprenticeship, since I THOUGHT it meant working side by side with the doctor. I'm sure they thought that also instead of doing the manual labor for outside. apprenticeship ~ but... with all of the paperwork today, perhaps having secretarial skills wouldn't be all bad. would love the soaps ~ will the pumpkin have others sniffing around me, lol?